Conc. & Ecc. 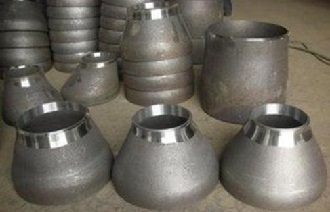 reducers, ASME B16.9, after sandblasting. 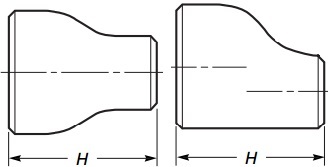 The technical drawing of ASME B16.9 reducers, concentric & eccentric. *Both concentric & eccentric reducers can be furnished with bell-shaped or conical body. However, the bell-shaped reducer is preferred.